This term, our WOW sessions were based around STEM activities which allowed children to explore science, technology, engineering and maths links through 4 different activities. Children worked in their house colours, working with children from across the school, sharing ideas and helping each other reflect on their designs and improving their projects. Yellow and Red house had to opportunity to work with Mrs Jack learning about life cycles of animals including butterflies and frogs. KS2 learnt how certain animals goes through metamorphosis and how a life cycle is a continual journey for animals and humans. KS1 still learnt about the same changes but focused more on identifying what animals change as they grow older, and ones that do not. They all created their own life cycle drawings on paper and stapled them together to demonstrate the life cycles of a frog or a butterfly. We then finished with creating a tadpole using the new Lego We-Do kits. Once they made their tadpole they changed it into a froglet and then onto a frog. Finally, they used the iPads and their coding skills to make them move forwards. 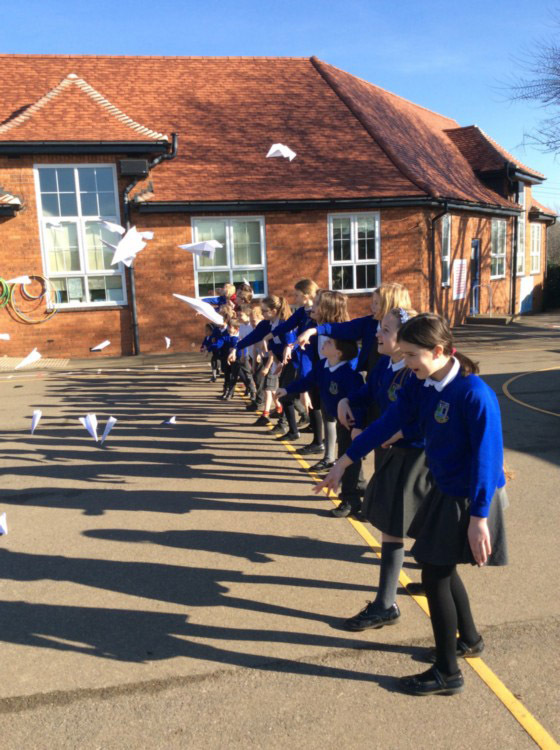 To look at air resistance, Mrs Shepherd and Mrs Hardie delivered a session based around paper. First of all, we identified all the things that fly and discussed what they used. We talked about wings and how they helped animals like birds and butterflies to stay in the air. We then looked at the aircrafts that can stay in the air too and how they were different from birds. The children were introduced to the term ‘air resistance’ when we dropped a flat piece of A4 paper and a scrunched up piece of A4, and how the air was acting as a force on the surface area of the objects. 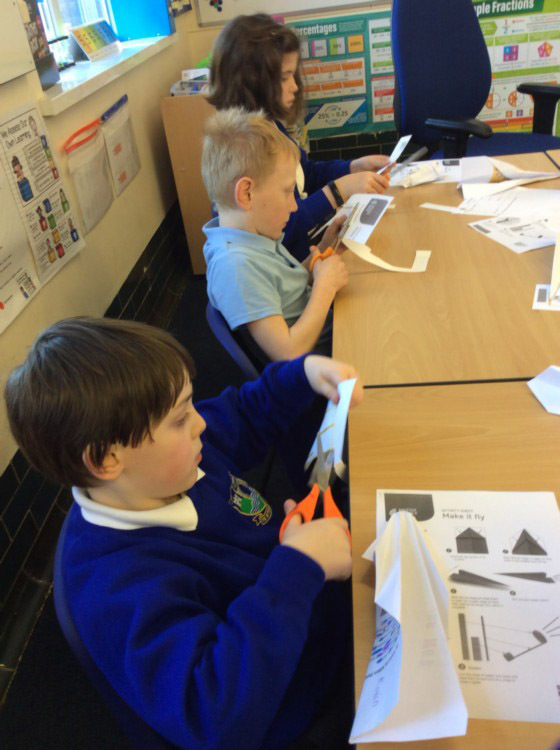 Children then worked in small groups to make paper aeroplanes, gliders and helicopters. 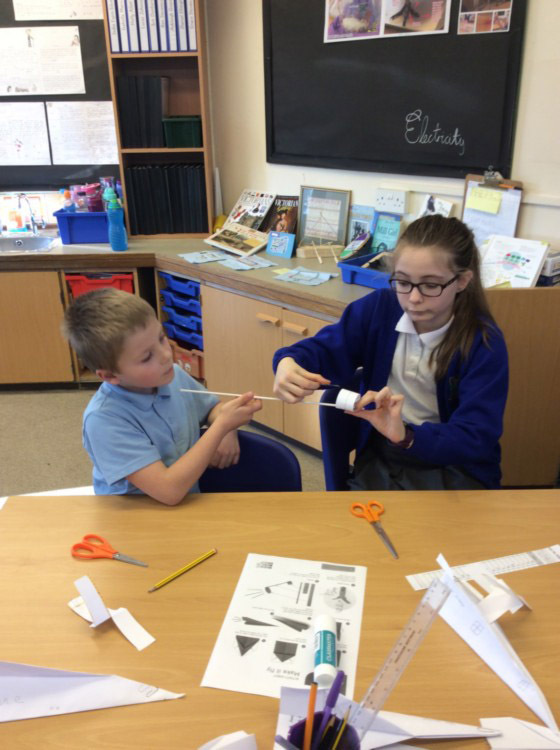 They were given basic materials to change and improve their aircraft to make it fly further or rotate more quickly. We discussed how the air was acting on the different models, giving children the opportunity to talk about air resistance, forces and streamlining the shapes.